If you haven't yet caught wind of Map the Sewentists, you need to do that right. now. Go ahead and pin yourself in there, add your blog address or your Burda Style account, and check out if there are other sewists in your neighbourhood! 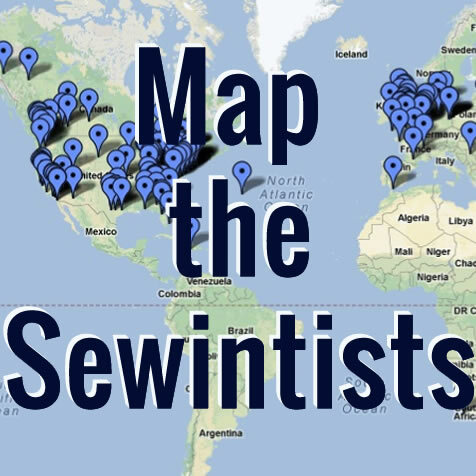 Vicki from Another Sewing Scientist -- whom I'm so excited of meeting tomorrow at our Toronto sewing meet-up -- has had the brilliant idea of opening an open Google map. Finally, a tool to let us know who's who and who's where! This will be a terrific tool to organize our next Toronto meet-up as the map grows. Thanks Vicki, and I look forward to seeing all of you on the map!